Do you miss your childhood Saturday mornings of waking up early to gorge on cereal and cartoons? If so, SecretFormula has the ultimate brunch for the kid in you…Spoons, Toons & Booze! 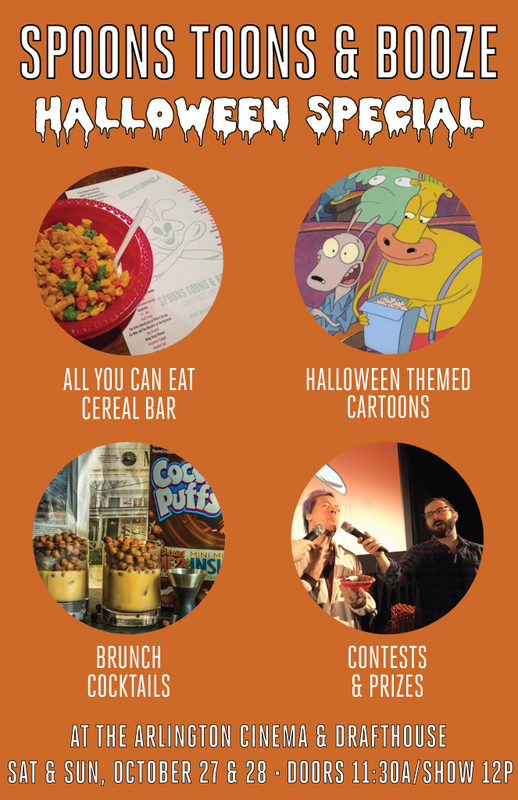 We’ve got all your favorite Saturday morning cartoons, delicious cocktails and a free all you can eat sugar cereal bar, not to mention Arlington Cinema & Drafthouse’s excellent food menu. Hosted by SecretFormula's Michael Austin and Nell Casey.